If you’re familiar with the past work of The Asylum, then this news won’t be surprising to you at all. The independent movie distributor is known for creating low-budget “mockbusters” of popular movies, releasing them at the same time as the real blockbusters. By presenting similar titles, characters, and storylines, the spoof movies made by the company are often comical and enjoyable in their own right. It’s an unusual business strategy, but it’s worked out well for The Asylum, as every single movie made under their banner has been profitable for the company. 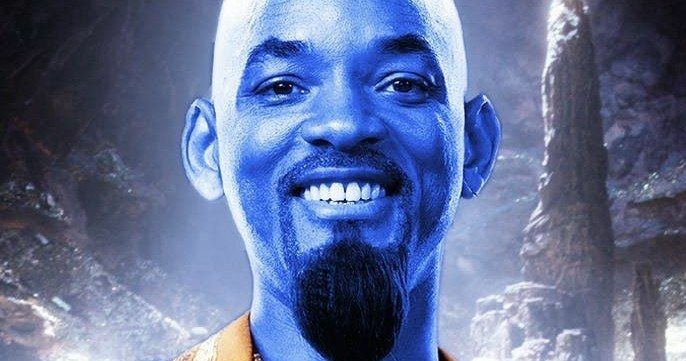 The trend will continue this summer with the premiere of Disney’s live-action reboot of Aladdin, as The Asylum is entering production an Aladdin Mockbuster of their own set to release around the same time. It’s not yet clear if The Asylum will be titling the film simply as Aladdin as well, but they would be within their legal rights to do so. The version of the story being used for the mockbuster comes from the public domain, having originally been printed in 1706. This is why there have been several generic Aladdin stories in the past seen in various mediums. Certain characters created for the Disney movie specifically, which includes Princess Jasmine, won’t be able to appear in the Asylum version. However, two of the most important characters in Aladdin and Genie will be a part of the story, keeping both versions highly reminiscent of each other. Aladdin joins a long list of mockbusters to be released by The Asylum. Some of their other most famous spoof movies include the Transformers knockoff Transmorphers, the Thor knockoff Almighty Thor, and a take on Alien vs. Predator called Alien vs. Hunter. Sometimes, these spoof movies have proven to annoy other movie studios, as was the case in 2012 when The Asylum was sued by Warner Bros., MGM, New Line Cinema, WingNut Films, and The Saul Zaentz Company for trademark infringement and false advertising. This stemmed from the parody movie Age of the Hobbits, as the word “Hobbit” was protected by copyright law. This resulted in the movie’s name being changed to Clash of the Empires, but ultimately, the company continues to make new mockbusters to this day. In addition to these other films, The Asylum is probably best known for their Sharknado movie series. Originally developed for Syfy, the first movie became an instant hit when it premiered on the network in 2013. Before long, Sharknado developed a massive following, with people appreciating its outlandish concept and over-the-top humor. A franchise was born with multiple sequels consistently coming out since then, with the sixth and final movie releasing in August of last year. Sharknado might be over, but the Asylum mockbusters will continue to live on. Shooting will begin next week in Los Angeles for The Asylum’s Aladdin movie. It does not yet have an official release date, but it’s expected to coincide with the release of Disney’s new version. That movie is set to premiere in theaters on May 24, 2019, so chances are we’ll be seeing the low-budget Asylum version heading straight to DVD somewhere around that same time. This information comes to us from /Film.